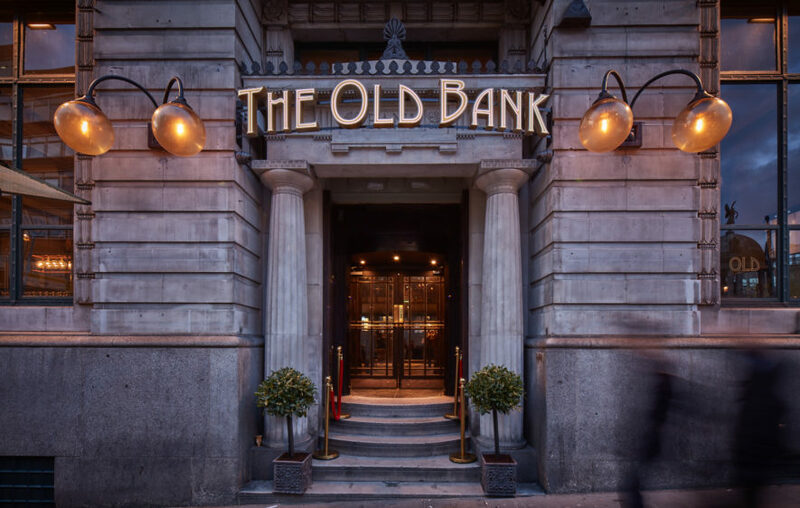 The Old Bank was the sensitive refurbishment of a grade II listed Landmark building in Liverpool business district. 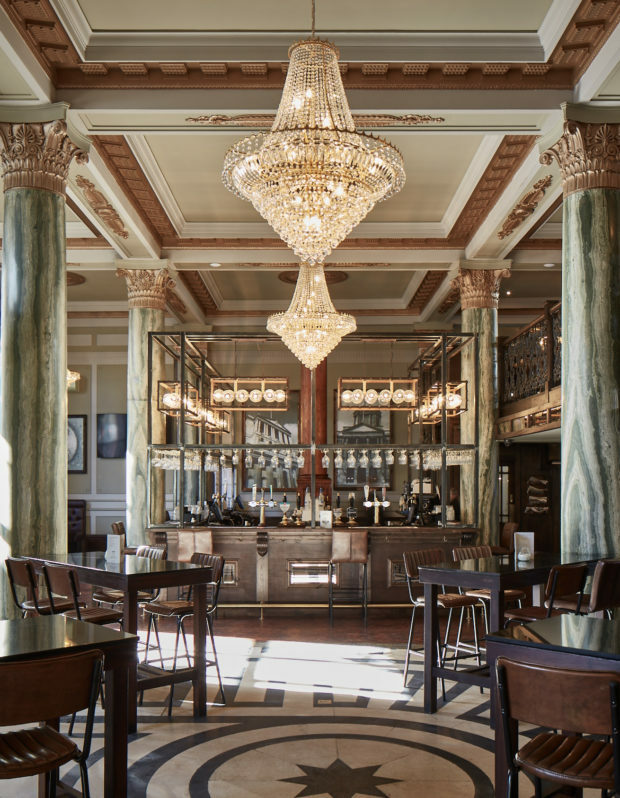 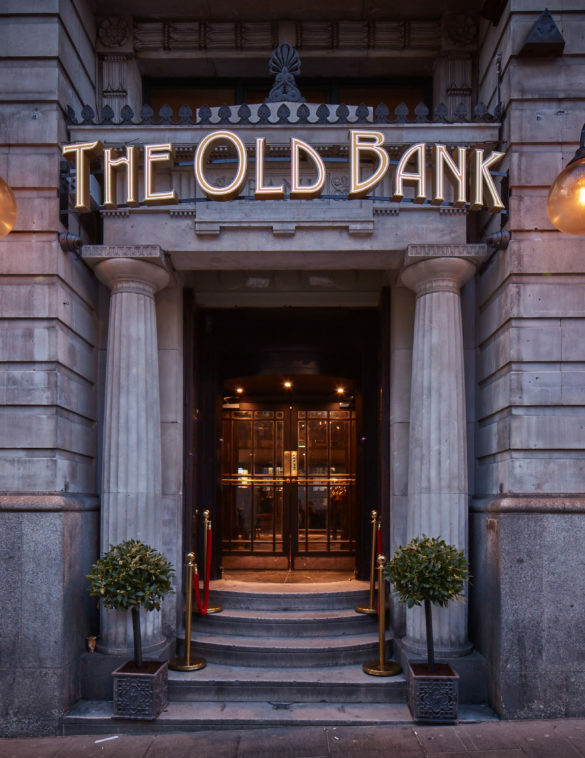 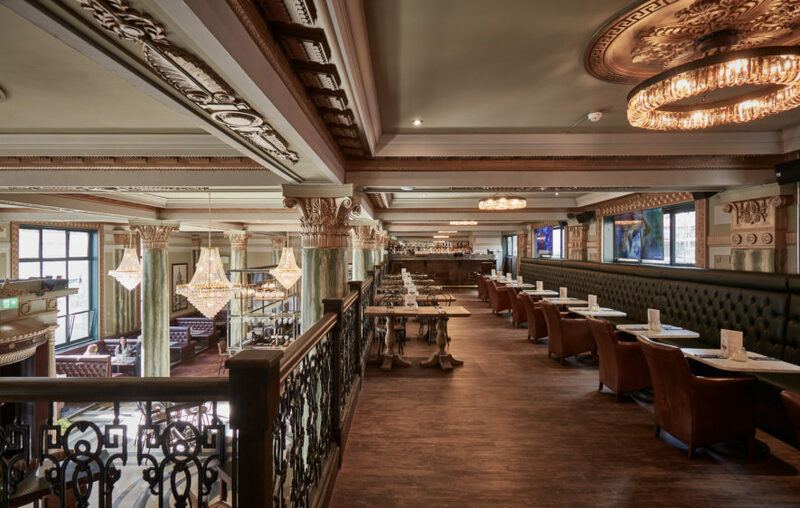 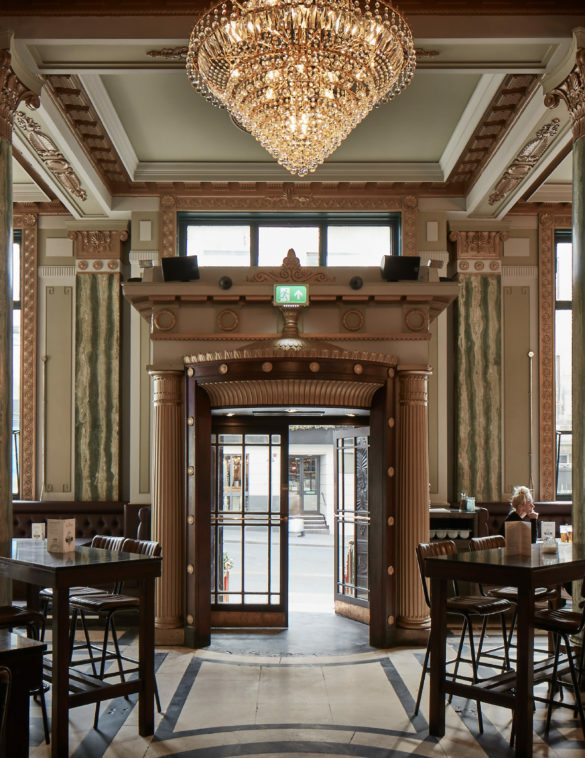 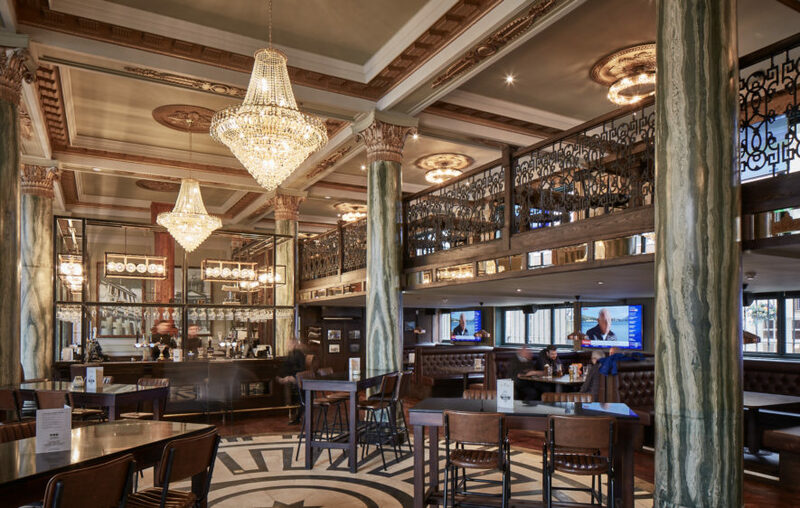 The refurbishment breathes new life into the old bank, which was built around 1920, and has a strongly American-influenced design by original architects T Arnold Ashworth and Sons. 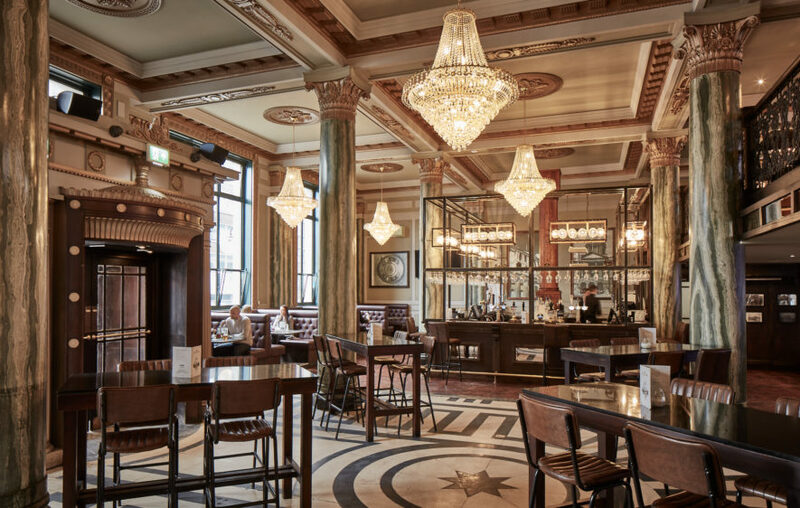 The interior has been refurbished back to its original grandeur, exposing and revitalising the interiors original ornate details. 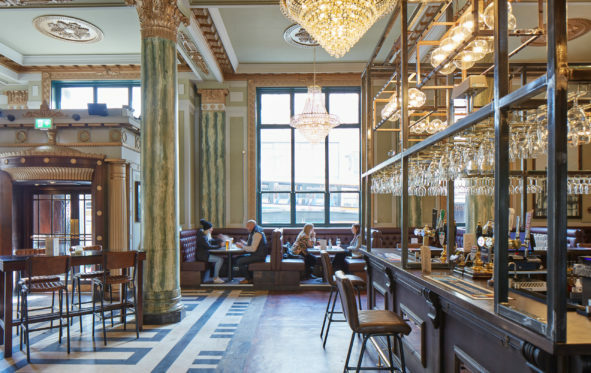 A large bespoke main island bar serves the ground floor with comfortable drinking & dining booths split over two floors with a second smaller mezzanine bar above.